With 200,000 spectators arriving for the PGA Championship at Quail Hollow Club, the Charlotte Chorale knew it had a big opportunity. 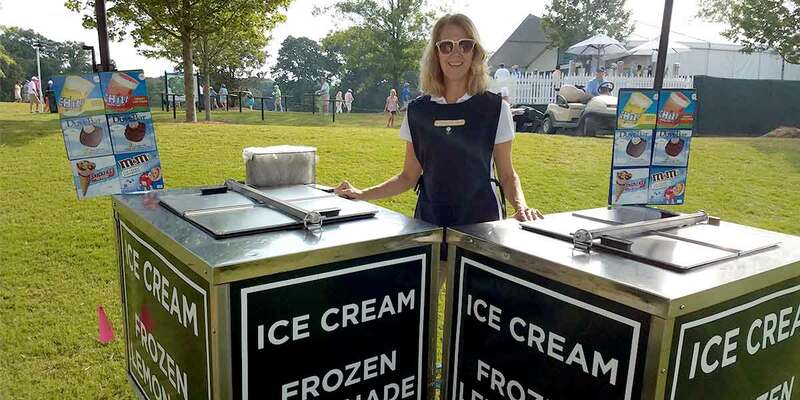 While the choir traditionally mans ice cream carts at the golf course’s annual Wells Fargo Championship to raise money, the arrival of one of golf’s four major championship meant much larger crowds — and the possibility to raise much more money. That also meant coordinating more volunteers for more carts. SignUpGenius helped Charlotte Chorale raise three times as much money as usual — and helped Downey manage and communicate with volunteers in an effective and efficient manner. “The most beneficial features were being able to send a group text to all the volunteers, shift reminders to the volunteers, indicating which shifts were fully staffed or still needed volunteers, and being able to export the volunteer information into Excel," says Downey. Throughout the years, the Charlotte Chorale has used proceeds from its fundraisers and performances to benefit organizations like Crop Walk, Avon Walk for Breast Cancer, KinderMourn, Musical Heirs, American Red Cross, USO of North Carolina, Hospitality House of Charlotte and Big Brothers/Big Sisters of Charlotte. SignUpGenius is happy to empower and support groups like the Charlotte Chorale that are using their voices for good. That’s genius!